See below. Found on LL.M Guide, a website advertising LL.Ms. One student made a strong plea in favour of our LL.M. in Liege. 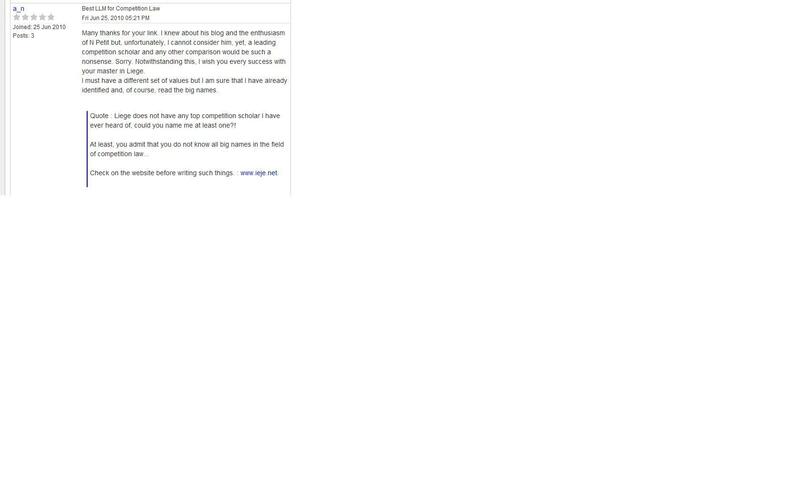 This triggered disagreement on the forum, with a respondent rightly arguing that I am not a “leading competition scholar” (as opposed to other “gods” of competition law, amongst which the amazingly good and esteemed Prof. Richard Whish). Anyway, the funny thing is that I have thought a lot in the past weeks as to how I could improve my way of doing business. At this stage, my conclusion is that I need to refocus a little on things that really matter. To this end, I am facing a number of options on which I would certainly love feedback from my readers. Surrender the Direction of the Liege Institute for European Legal Studies? Keep an interest in the various areas of competition enforcement (101, 102 and merger control) or focus only on a micro area of EU competition law? Keep following Belgian and French competition laws, in parallel to EU competition law? Start writing papers in English only, or continue my 50/50 balance between contributions in French and English? Happy to get your feedback on the above. Nota: The picture above is taken from one of the greatest rock LPs of all time (source here). This LP features the title “It’s a long way to the top”, which has one of the most addictive and catchy riffs I have ever heard. Having taken Prof. Whish’s course many years ago as a young undergrad. I can say that he is indeed an outstanding teacher. Nicolas Petit is equally outstanding (perhaps less experienced)and he should be admired and praised for the efforts he is making to make competition law and IP law more accessible to those interested in those subjects. Does it really matter who is the best? Your blog: don’t stop it. It’s good. And don’t get confused by what people type up in discussion boards and comments sections. Nicolas, your ability to multitask and your vertiginous ascent in the “competition hall of fame” is quite remarkable (it is enough to make any competition expert green with envy). Regarding the possibility that you may be stretching yourself too thinly the solution is simple: get a competent assistant. Brief remark: if anybody says “Let’s compare X with Whish”, this is good evidence that X is a superb lawyer. 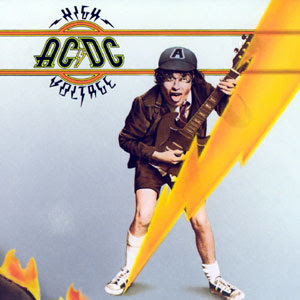 Oh, and the Angus Young image is great. Please, don`t stop the blog. U shud not care about what ppl say..its just an attempt to destabilize you.